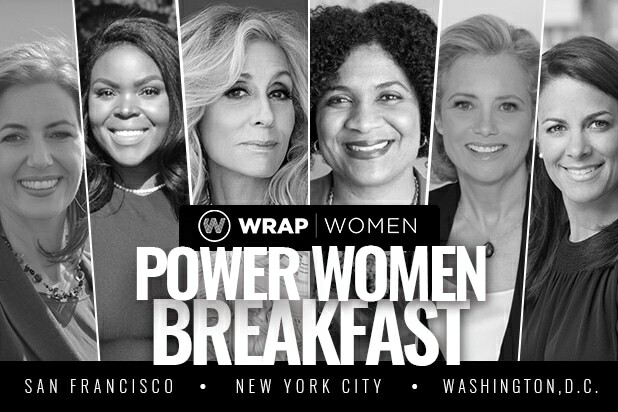 TheWrap announces major speakers for upcoming Power Women Breakfast events in New York, San Francisco and Washington, D.C.
TheWrap on Monday announced a lineup of speakers for three Power Women Breakfast events in Washington, D.C., New York and San Francisco. On June 13, National Geographic Global Networks CEO Courteney Monroe will co-host a Power Women Breakfast in Washington, D.C. The event, to be held at the W Hotel, will also feature a panel focusing on next steps in the #TimesUp Initiative with political strategist Hilary Rosen, National Women’s Law Center president and CEO Fatima Goss Graves and members of TimesUp Legal Defense Fund — an organization that helps individuals find legal representation after experiencing sexual misconduct including assault, abuse or harassment in the workplace. Emmy- and Tony-winning actress Judith Light will be a featured headliner at TheWrap’s Power Women Breakfast New York on June 15 to discuss her longtime advocacy for LGBTQ issues as well as the goal of achieving 50/50 gender parity in the entertainment industry by 2020. The star, who has received two Emmy nominations and a Golden Globe nomination for her role in Jill Soloway’s “Transparent,” and who is garnering critical raves for her powerful performance as Marilyn Miglin in FX’s “The Assassination of Gianni Versace: American Crime Story,” will join in conversation with TheWrap Editor in Chief Sharon Waxman at the event, held at the Time Warner Center. Then on July 12, Aja Brown and Libby Schaaf, the mayors of the California cities of Compton and Oakland, will share the stage at Dolby Laboratories in San Francisco for a conversation about their progressive visions for elevating and improving the lives of citizens. The three events are part of TheWrap’s ongoing series of Power Women Breakfasts to help build a broad network and power base of professional women who are decision-makers and mothers, leaders and wives, innovators and activists. The WrapWomen initiative is gearing up for the Power Women Summit on November 1-2 in Los Angeles, continuing to help women address the challenges of gender equality and to seek solutions to build a more fair and balanced workplace for all. For the first time in the series history, tickets are available on a donation basis to attend the Power Women Breakfast Series with 100 percent of proceeds go directly to benefit women’s leadership programs and gender equity initiatives via WrapWomen Foundation. Courteney Monroe oversees all aspects of entertainment and business operations for National Geographic Global Networks, which includes National Geographic Channel, Nat Geo WILD, Nat Geo People and Nat Geo MUNDO. In April 2017, she launched the network’s first-ever scripted anthology series, “Genius,” which nominated for 10 Emmys; and propelled by the tremendous success of the first season, this spring, the network premiered season two “Genius: Picasso,” starring Antonio Banderas as Pablo Picasso. Fatima Goss Graves, who has served in numerous roles at NWLC for more than a decade, has spent her career fighting to advance opportunities for women and girls. She has a distinguished track record working across a broad set of issues central to women’s lives, including income security, health and reproductive rights, education access, and workplace fairness. Hilary Rosen is a well-known Washington, D.C., strategist who navigates the intersection of communications, media and politics. She is an on-air CNN political analyst and a partner at SKDKnickerbocker, the 2016 Holmes Report Public Affairs Agency of the year. In addition to her work on “Transparent,” Judith Light recently finished filming the CBS All Access drama series “The Good Fight,” by the creators of “The Good Wife,” and the upcoming Lifetime film “Nellie Bly” opposite Christina Ricci. She also appears in the upcoming indie movies “Ms. White Light” and “Hot Air” with Steve Coogan. Oakland Mayor Libby Schaaf was inaugurated in January 2015 and launched an agenda to elevate one of America’s most diverse and progressive cities into an equitable and resilient city. Born and raised in Oakland, Schaaf has led new initiatives to offset the cost-of-living crisis, reduce crime, improve transit and infrastructure, and expand educational and career opportunities for the city’s most vulnerable residents. Aja Brown made history at the age of 31 when she was elected as the youngest mayor in the Compton. Her hands-on approach to governance has garnered national recognition and a home in the hearts of change-makers across the globe. Her 12-point ‘New Vision for Compton’ revitalization strategy has guided improvements in quality of life, economic development, infrastructural growth, policy reform, and strategic partnerships. As a millennial mayor, she has attracted several Fortune 500 companies and notables like Andre “Dr. Dre” Young and the Williams Sister to reinvest in the social fabric of the city. 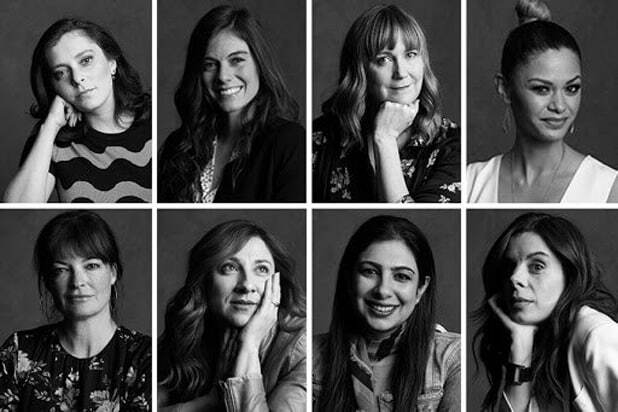 Rachel Bloom, creator and star of "Crazy Ex-Girlfriend"
Aurora Browne, performer, "Baroness von Sketch Show"
Shannon DeJong, Founder & CEO, House of Who, Inc.
Jennifer Whalen, performer, "Baroness von Sketch Show"
Meredith MacNeill, performer, "Baroness von Sketch Show"